Once you offer your personal genetic material to be used for scientific research, you expect that you are going to remain anonymous. However, a new study has shown that there is no guarantee that such privacy cannot be breached, in particular, for the male volunteers. In a recent report submitted by researchers to journal science, it is able to identify about 50 people who have gone through genome sequencing. Scientists were quick to add that they could only be able to identify males directly as the information that gave this details were only found on Y chromosome. To kick off the process, scientists first went to the Internet where they pulled up the unique but anonymous information. According to Yaniv Erlich, a study author, they currently have huge databases, which are available publicly and contain a lot of genomes but there are no explicit identifiers, surname or any other name of the person. What the research actually showed is that it is possible for a genome to be taken from the public database and have it analyzed for Y chromosome if it is a male. While this might be possible for people like Erlich, who are distinguished biomedical researchers, but what about people without any specialized knowledge? There is no doubt that to do this kind of analysis, you will need to have some key skills. There are various tools available out there than one can use, but one must know what to do with them. It is wrong to think that a layman can possibly start doing this kind of research tomorrow and there is definitely a learning curve. However, he added that no lab was needed for the analysis as a simple computer and some Internet connection would do just great. 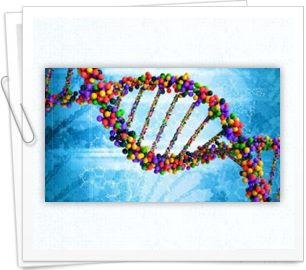 After digging up for the genetic material, the second step involve genetic genealogy sites like Family Tree DNA which people can use for searching their ancestors. After the Y chromosome is analyzed, the data can be taken to a separate database with recreation genetic genealogy. Most of these databases actually have search engines where the Y chromosome markers can be plugged in to search for the right matches. In case he anonymous gene specimen of the donor has some relationship with someone on the search site, then you will see the last name. According to Erlich, this wouldn’t be any of their brothers but once removed, it could probably be one of your second cousins. It could even be much larger and can be propagated far through the family tree, the connection that exists between Y chromosome and a surname. The women with only X chromosomes cannot be identified directly with this particular method. After the name, state and age have all been revealed, the possibilities are now quite narrow and it is possible to pinpoint a specific individual using effective Internet search tools. This research should be taken seriously by those who give their genetic materials expecting to remain anonymous as this might not be the case.